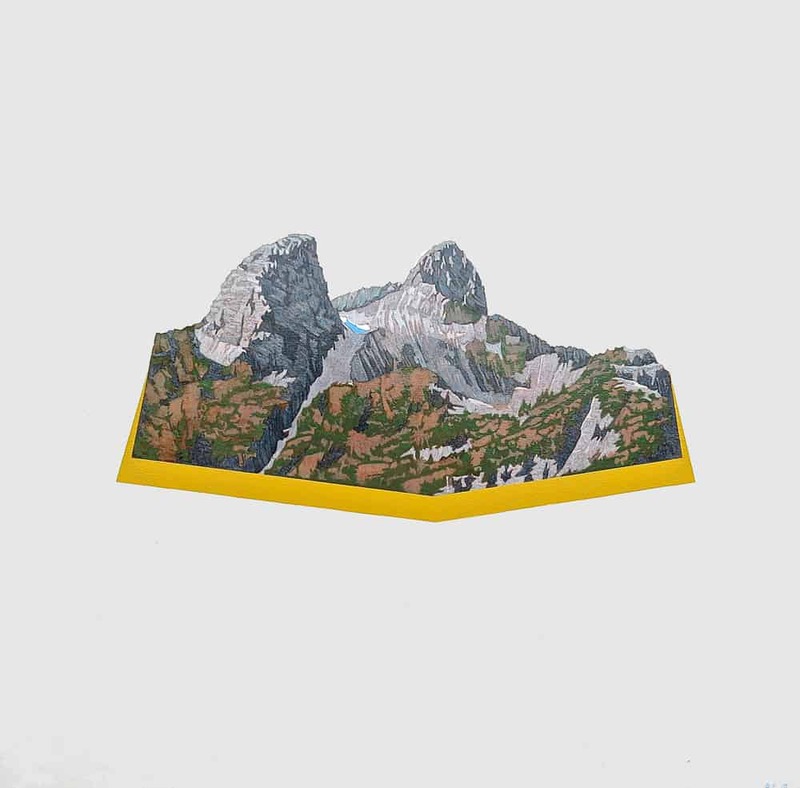 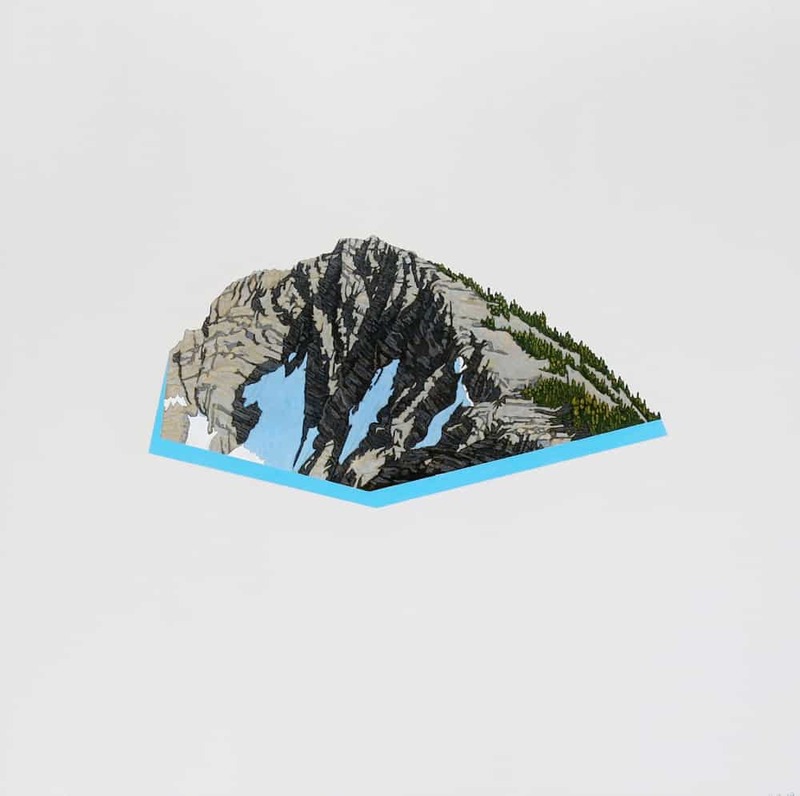 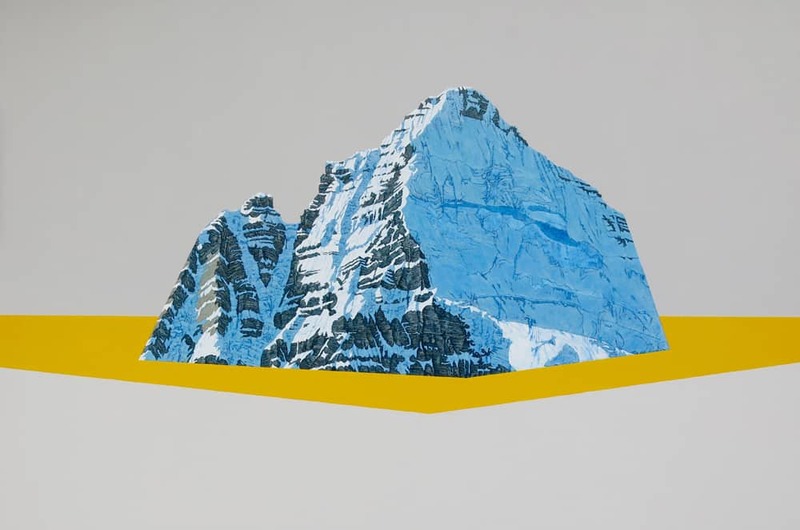 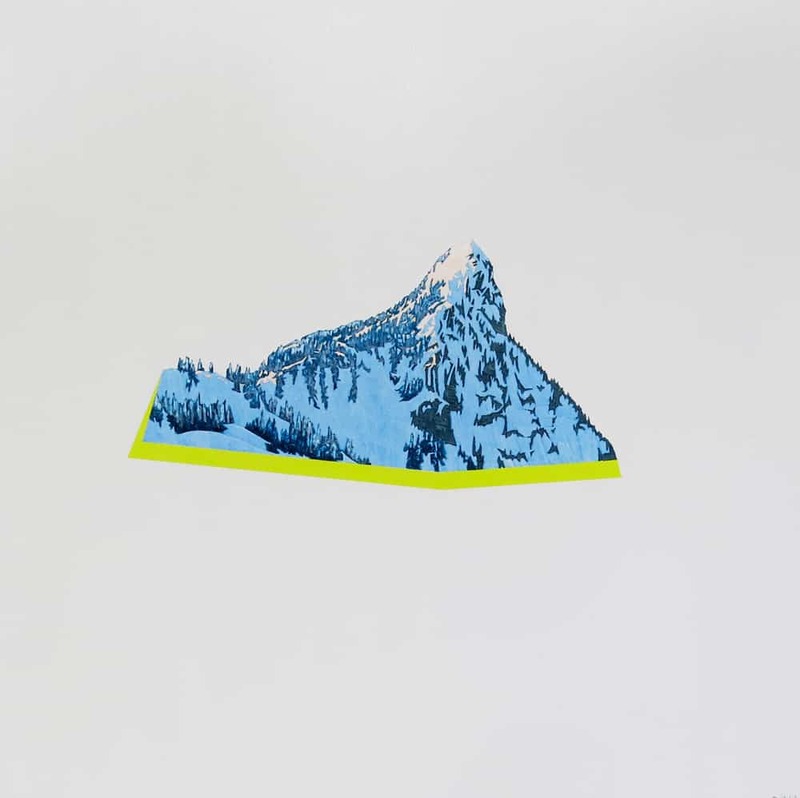 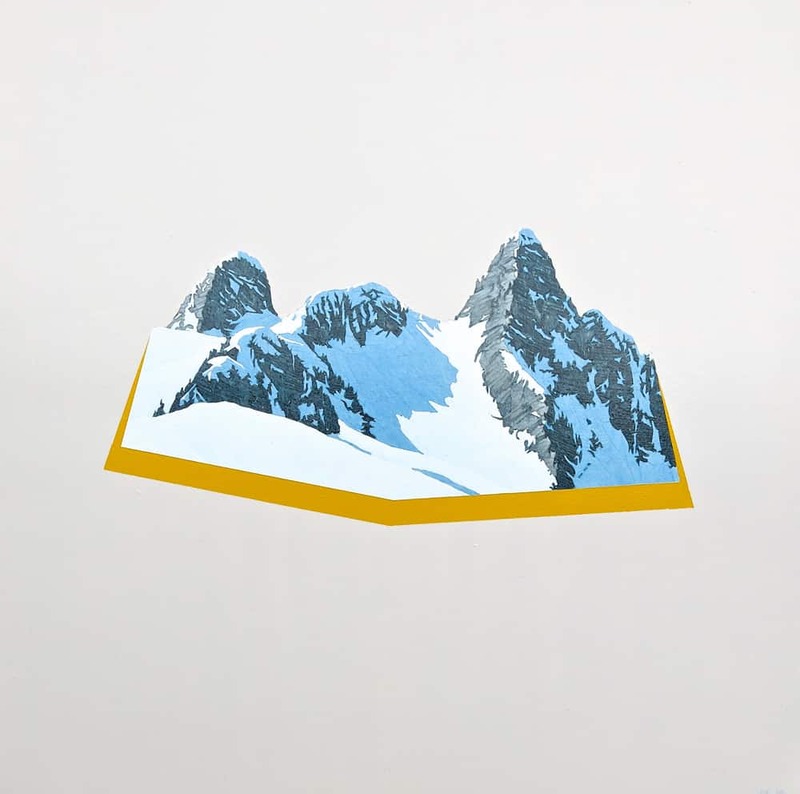 Following on from the success of his previous and ongoing collection – ‘Pop Art Mountains’, his new body of work reflects his continued reverence to mountains and his ever-growing concerns regarding the depiction and understanding of mountain geography, cartography, and the way we employ technological filtering to suit our perception of seemingly wild, unattainable places. 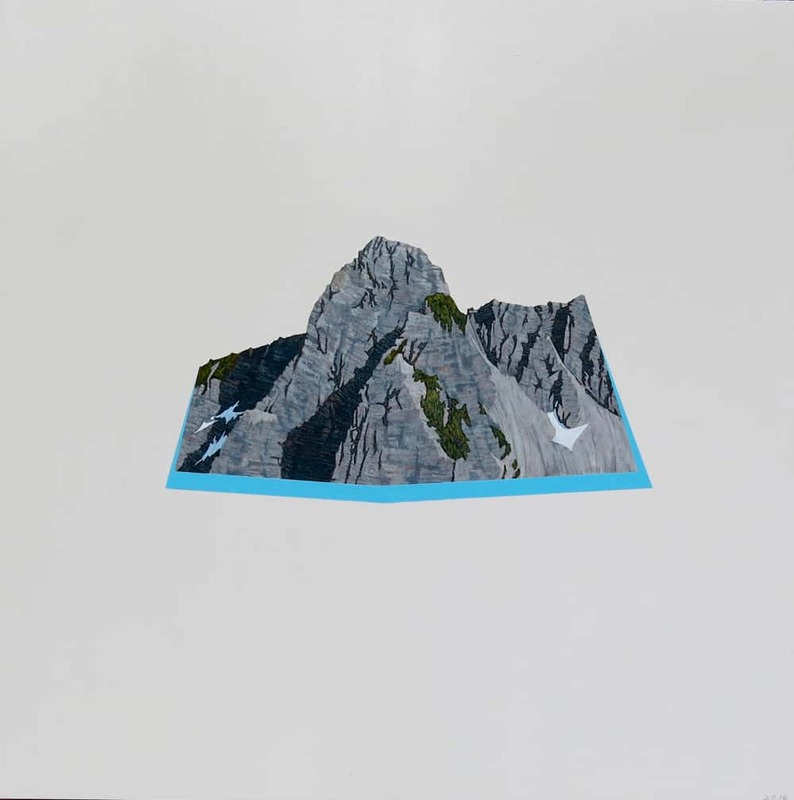 For this show, Pirrie focuses on the Canadian Rockies. 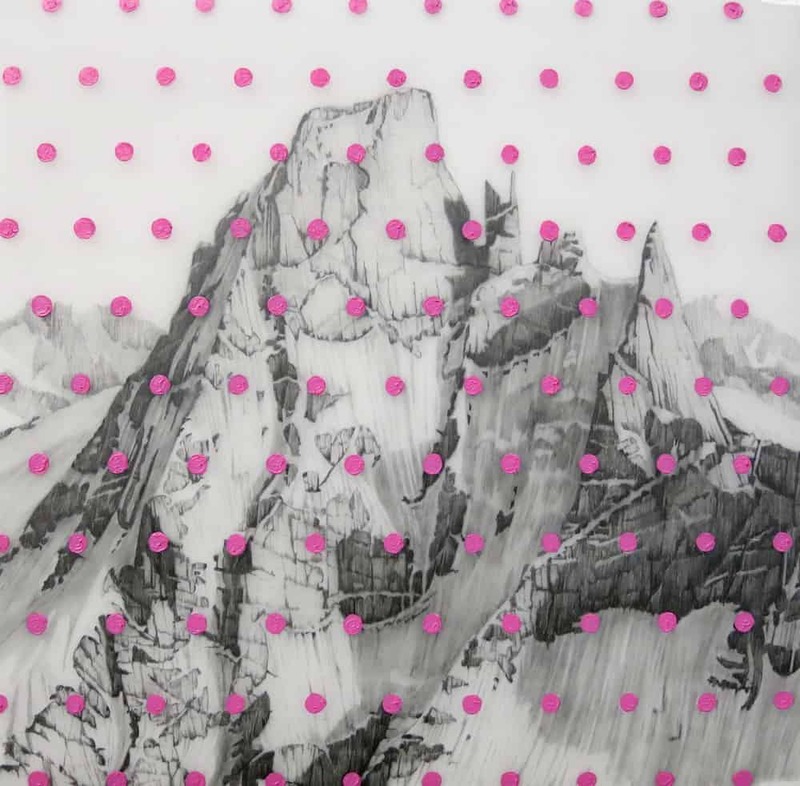 Three lines of investigation form the basis of the show: The ‘Map series’ – exploded contour maps of the ice fields the artist uses to navigate complex mountain environments; ‘Mountain series grids’ – portraits of mountains he has skied or climbed with grid overlays, extending the concept of relief and travel; ‘Mountain Series dots’ – portraits of mountains with dot overlays as a form of plotting. 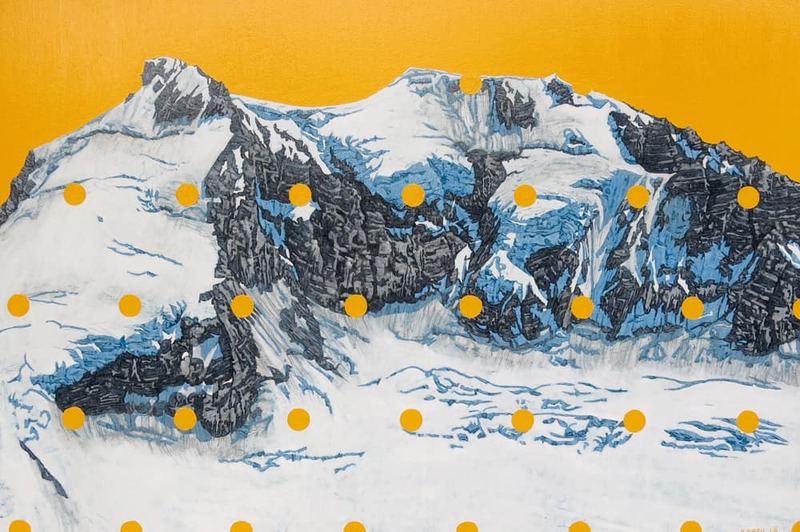 Still perhaps in an experimental stage, the ‘Map series’ takes on an almost abstract quality, while retaining the artist’s rigorousness for details. 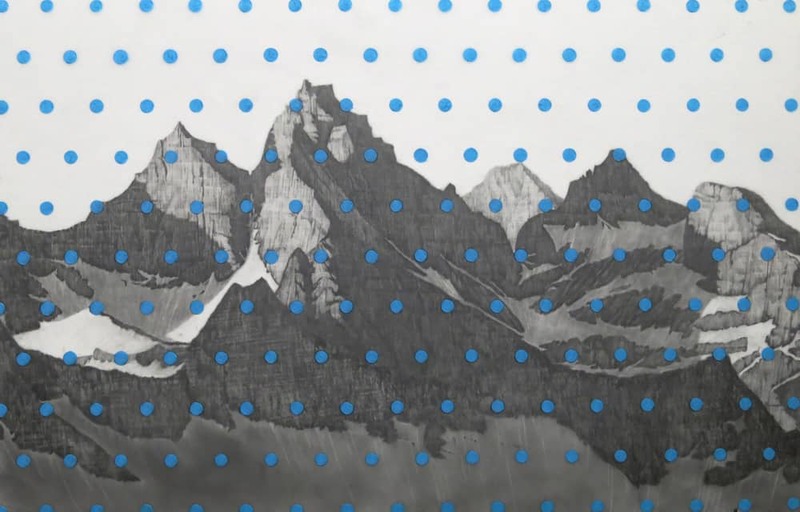 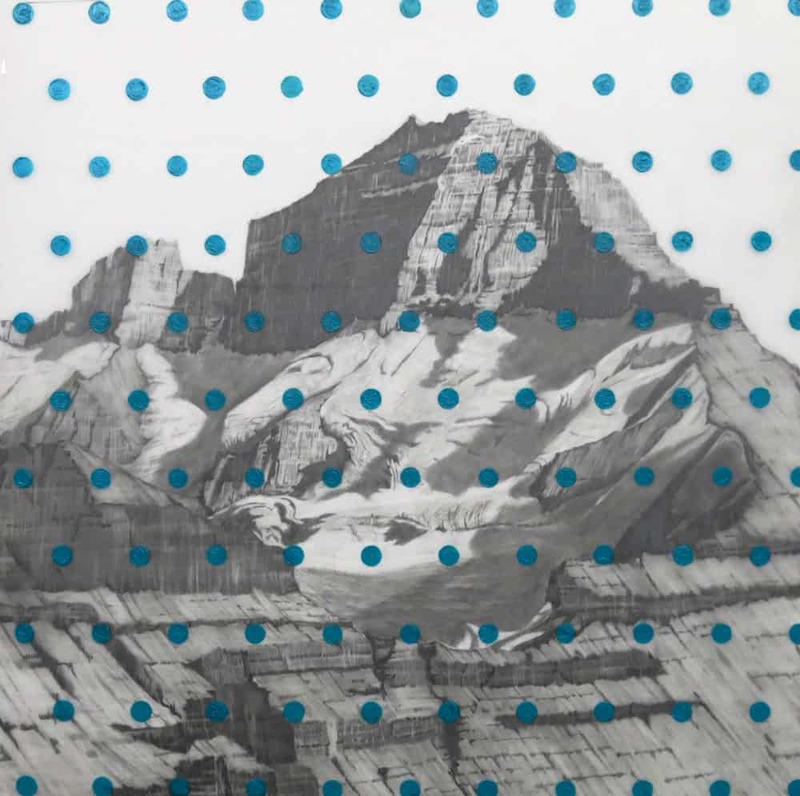 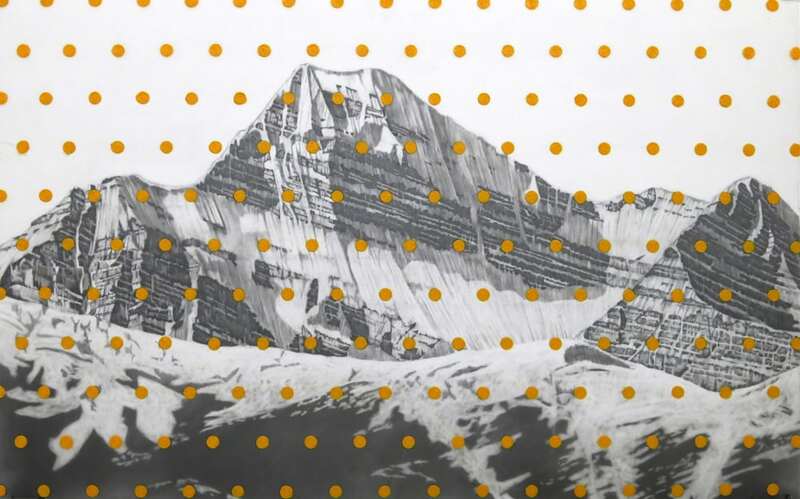 In ‘Mountain series’ (grids and dots), Pirrie removes the individual mountain from the surrounding range thus decontextualizing the subject, making it symbolic rather than representational. 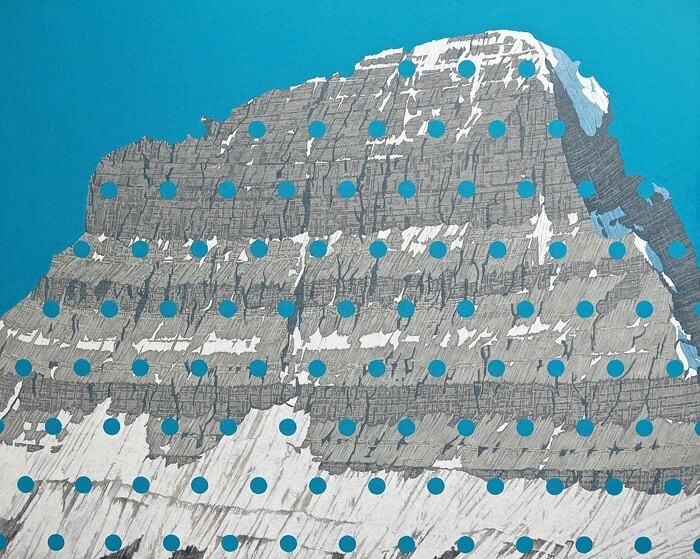 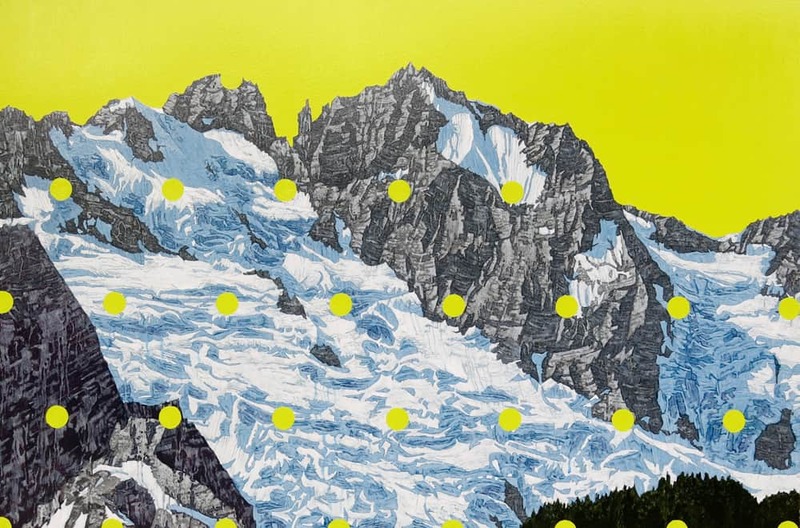 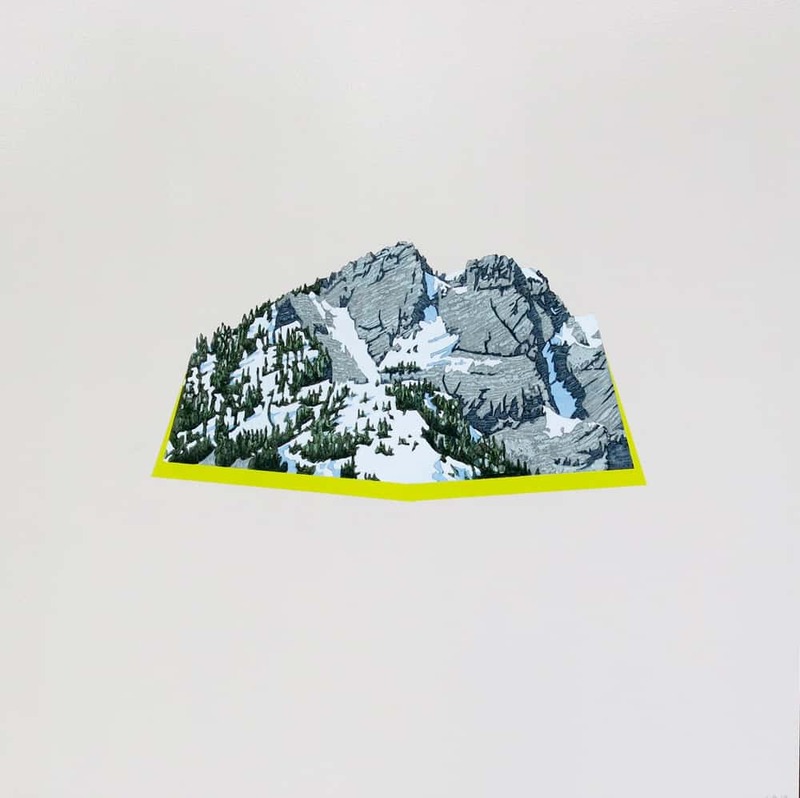 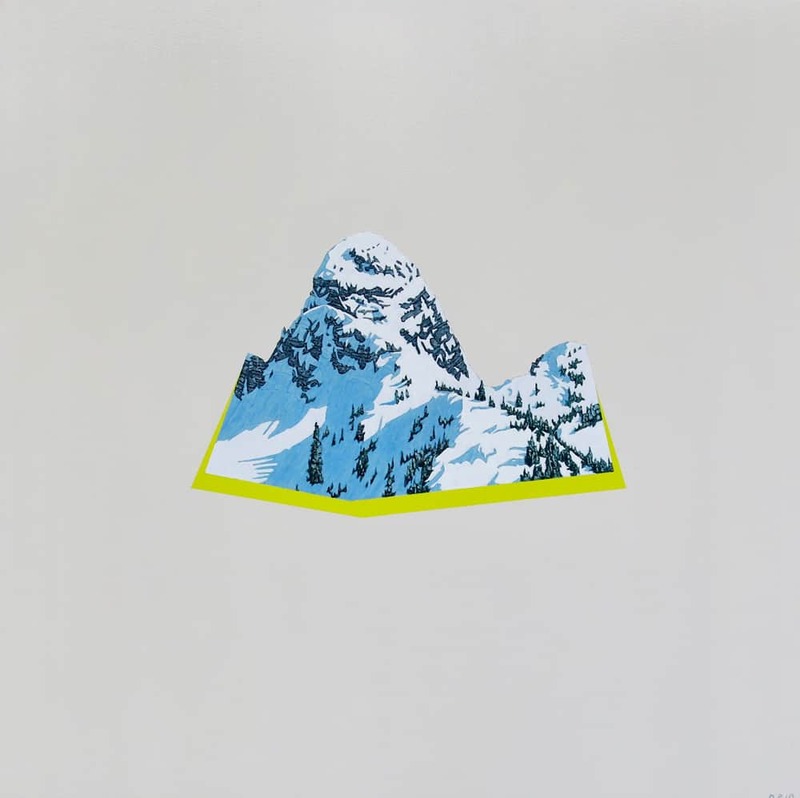 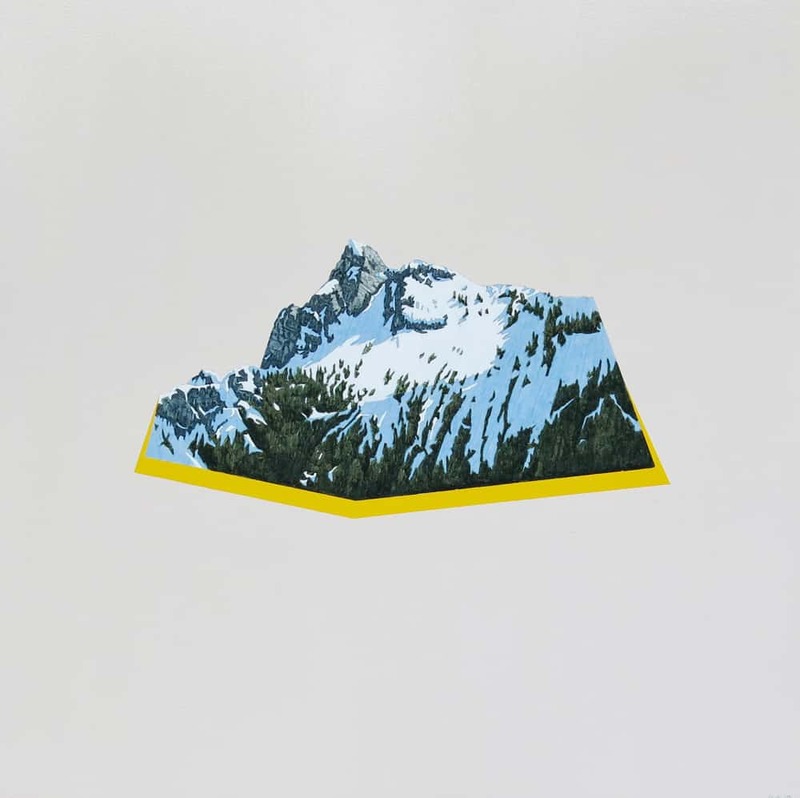 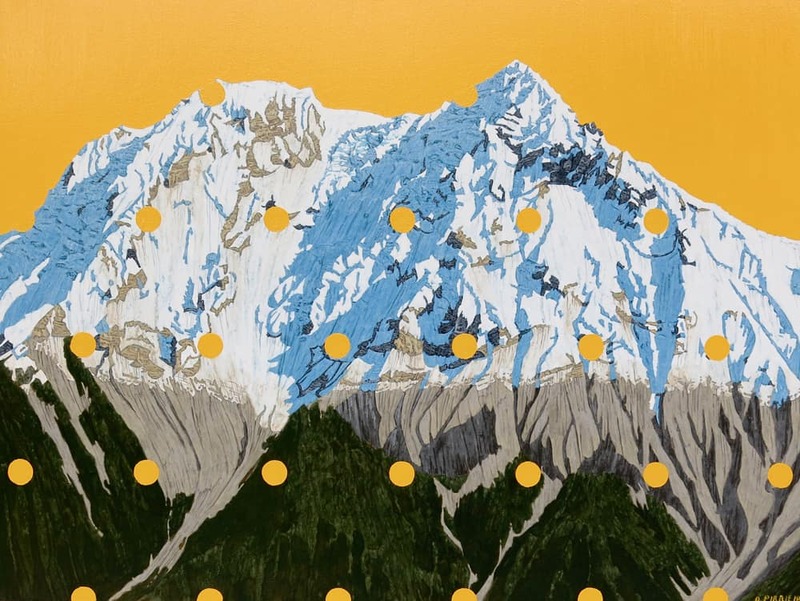 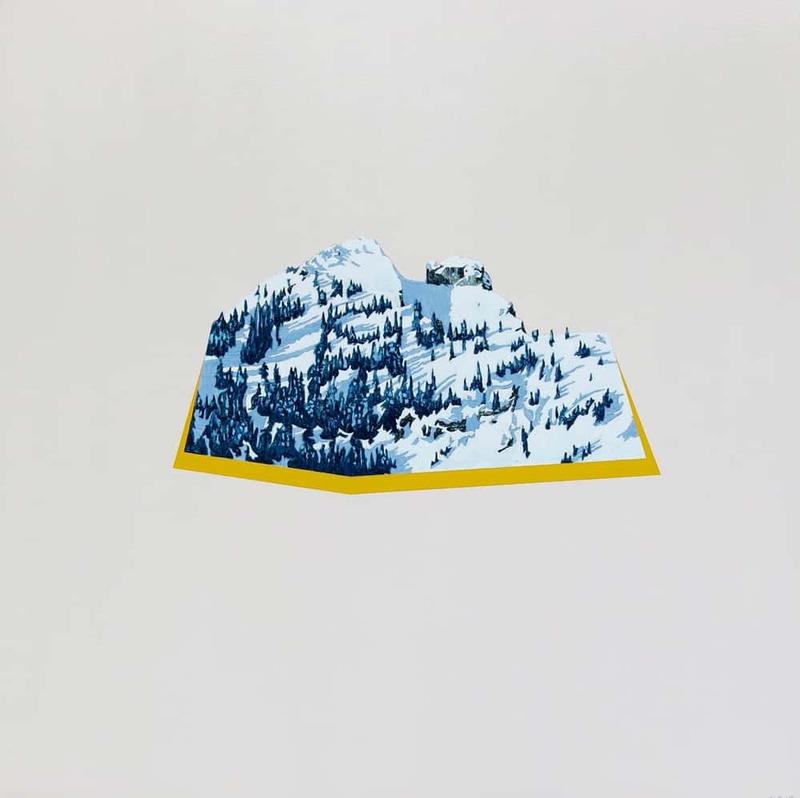 His use of bright monochromatic colours as well as the dot and grid overlays draws aesthetic and conceptual comparisons to Pop Art and continues his investigation of how we perceive the mountains; examining the function of representation and how preserving something in imagery can make it iconic. 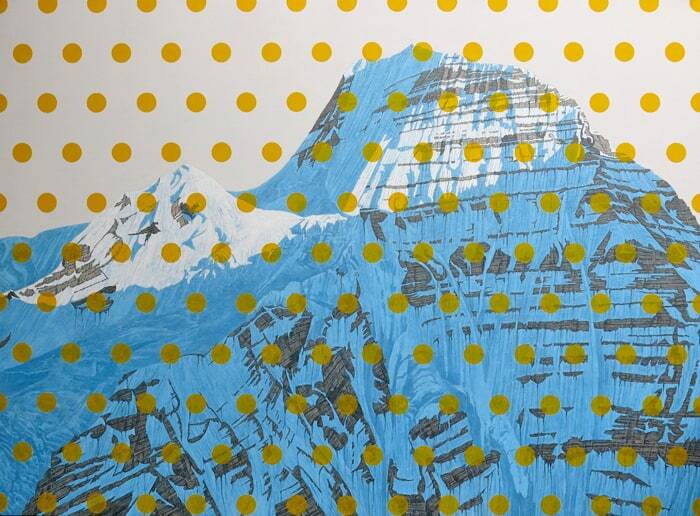 David Pirrie, comments, “ I have been climbing these mountains all my life. 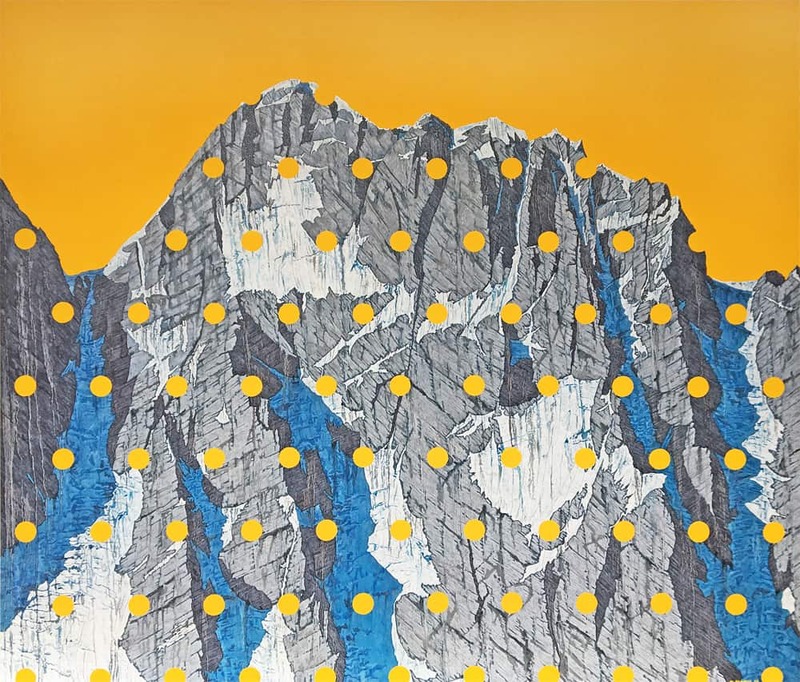 The sediment stratification of millions of years cannot go unnoticed, and over years of personal inquiry through mountaineering exhibitions, I feel I have developed an intimate sense of geological time, a special relationship with its complexities that I try to convey in my art. 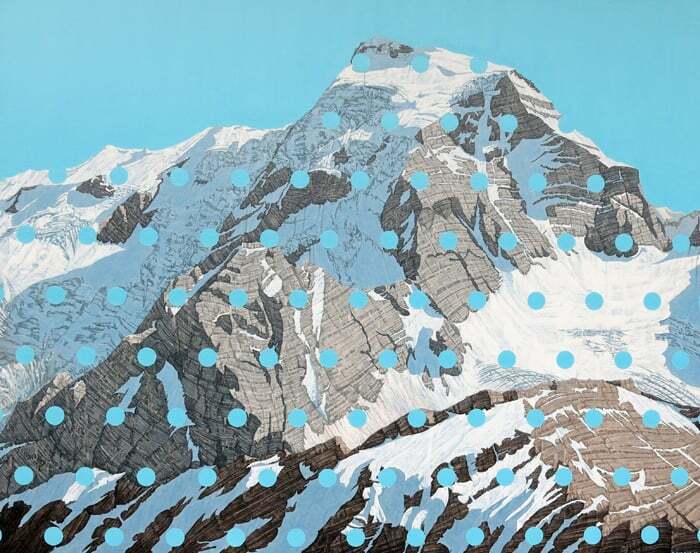 In addition to residential patrons, David Pirrie’s work has been sought out by Cathay Pacific Airlines – VIP Lounge, YVR, The Four Seasons Resort, Whistler BC, Simon Fraser University as well as Google headquarters, California.